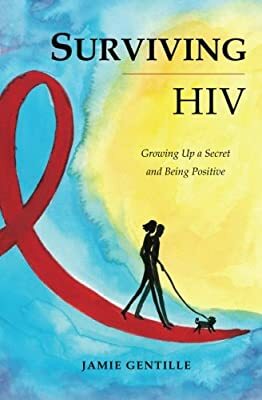 Surviving HIV: Growing Up a Secret and Being Positive is the true story of Jamie Gentille, a girl in her 30s who defies the odds by living a healthy and productive life after contracting HIV during a blood transfusion at age 3 during open heart surgery. This book follows Jamie’s life as a child, to whom the medical world was a second home, through adolescence and adulthood. Along the way she encounters pain, joy, adversity, despair, ignorance, and above all, hope. Her journey takes the reader through a time when HIV and AIDS was a highly stigmatized terminal disease, to groundbreaking hope in the form of medical advances, to an age of full life expectancy and near normalcy. The book’s style is a playful balance between dry, self-deprecating humor, and raw emotion. She describes heartbreaking experiences as a child enduring painful medical procedures, and the terrifying reality of a terminal illness. The book poignantly describes Jamie’s process of coming to terms with her own mortality at the age of 10. While the reader is moved by these sobering stories, they will also laugh at loud at Jamie’s irreverent humor and light-hearted style. Interwoven throughout Surviving HIV is a theme of stark reality, and enduring optimism that can offer the reader a new perspective on their own lives.